27 Nov 2017 Crockett C.C. Cafe Presents Shopping On A Budget! 25 Nov 2017 Celebrate #SmallBizSat with us on Nov 25! 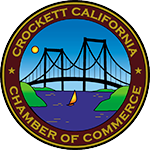 21 Nov 2017 Crockett C.C.Cafe Presents Happy Thanksgiving Celebration! 20 Sep 2017 Crockett Library Presents - Fall Storytimes Each Wednesday! 05 Nov 2016 Milano Gallery hosting " INGREDIENTS"
25 Sep 2016 Crockett Community Foundation "POP-UP" Surprise! 12 Jul 2016 BE OUR GUEST SENIOR "HAWAIIAN LUAU"
26 Jun 2016 Crockett Community Foundation "POP-UP"
30 Apr 2016 Judy's Place Presents "A FARM TO TABLE DINNER EVENT"